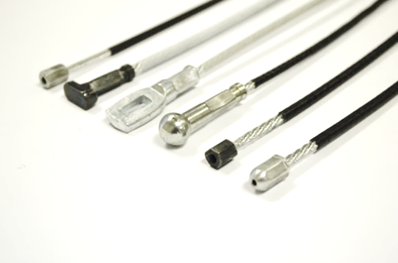 CHUHATSU North America, Inc. produces a variety of automotive control cables and springs. 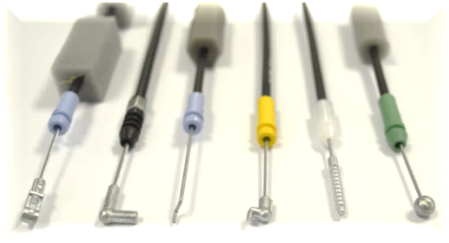 Some of the processes we use in our cable manufacturing process include: injection molding, extrusion, coiling, stranding, die casting and assembly. 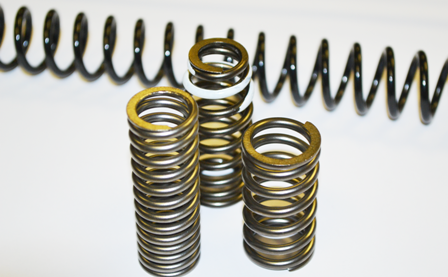 Our spring manufacturing process includes: coiling, tempering, grinding, inside and outside chamfering, shot peening, nitriding and 100% automatic inspection. We also perform zinc phosphate pretreatment coating and electrostatic painting for our larger springs. 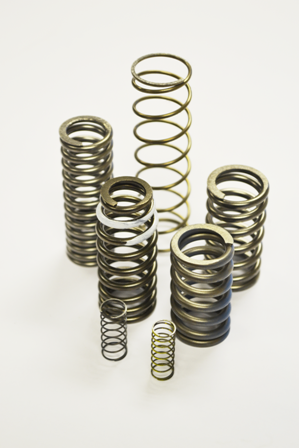 We manufacture precision compression springs for several automotive OEMs. 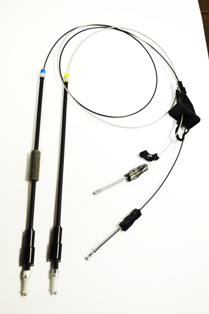 CNA produces high quality cable assemblies utilizing hundreds of custom manufactured components. 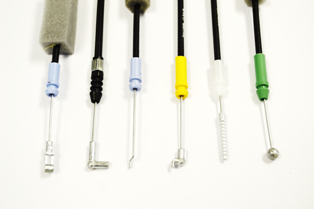 CNA produces a variety of cables with end caps that are injection molded over the stranded conduit. After assembly the ends of the cable may receive one of many different die cast shapes to fit the needs of our customers. The ends of control cables must meet a stringent minimum pull-off strength to ensure that the cable will not fail under normal use. Control cables require a protective conduit that will withstand harsh conditions and remain flexible and allow consistent smooth operation of the cable. CNA manufactures a variety of coiled flat wire conduit with an extruded plastic inner liner and protective outer coating. Smaller diameter cables can be manufactured from conduit that is made from twisted strands of wire wrapped around an inner liner. CNA manufactures stranded conduit of several sizes to meet varying specifications. 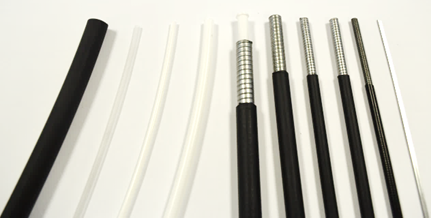 CNA extrudes protective rubber for cable protectors and conduit coating. 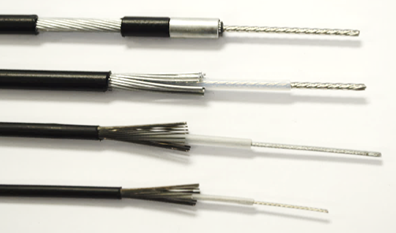 Control cables have the option to be manufactured with an inner plastic liner. CNA extrudes several sizes of this liner from different materials.